very interesting year in the property and �nance market. We look forward to assisting you throughout 2019 and welcome your enquiries, be it selling, buying, renting, leasing or investing. Our of�ce is open Monday – Saturday, 9am-5pm and can be phoned on 02 9680 2255. It's a testament to our highly educated and professional team who continuously deliver superior campaigns for their clients and ultimately, assist them in reaching property goals. We make no representation or warranty as to the accuracy, reliability or completeness of the information contained in this document â&#x20AC;&#x201C; independent advice should be obtained before making any decision. We acknowledge that information contained in this document may be sourced and obtained in part from third parties. Accordingly, no warranty, representation or undertaking, whether expressed or implied, is made and no responsibility is accepted by us as to the accuracy of any part of this or any other information supplied on our behalf. For more information: raywhite.com/datadisclaimers. Properties included may/may not be sold by Ray White. We make no representation or warranty as to the accuracy, reliability or completeness of the information contained in this document â&#x20AC;&#x201C; independent advice should be obtained before making any decision. We acknowledge that information contained in this document may be sourced and obtained in part from third parties. Accordingly, no warranty, representation or undertaking, whether expressed or implied, is made and no responsibility is accepted by us as to the accuracy of any part of this or any other information supplied on our behalf. For more information: raywhite.com/data-disclaimers. Properties included may/may not be sold by Ray White. Not too many other brands can pinpoint exactly where it started. Ray White can. It was in a tin shed at Crows Nest, in rural Queensland that Ray started in 1902. In 2017 alone, we welcomed 106 new business owners to our Australian network and 28 new businesses in New Zealand. 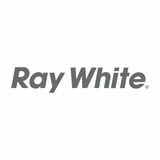 Ray White has the highest market share in Australasia at 10.68 per cent. 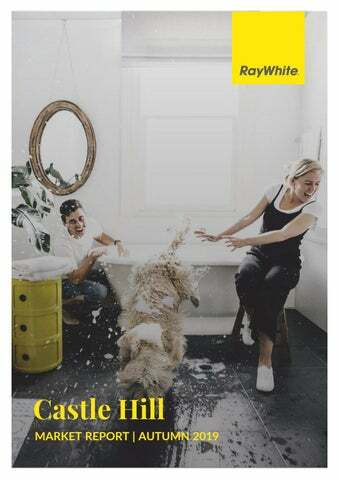 We are very proud that one in ten houses in Australia is sold by a Ray White agent. The Ray White brand helps the 1000 across Australasia list and sell more residential, commercial and rural property, and aims to deliver an exceptional customer experience, every time. Autumn Gardening Tips Autumn is a good time to get into the garden. Your soil will still contain a fair bit of warmth from summer before the winter rain hits, so it’s a great time to get planting! Mulch for your Garden Mulch is your garden’s best friend. It helps the soil hold in moisture so you don’t have to water it as often and it also keeps down weeds. Over time, mulch will break down into your soil and improve it by adding nutrients. Fertilise your Lawn Thiswill ensure that it stays green and healthy throughout the year. Autumn is a great time to fertilise because it protects your lawn through the winter months. Prune Trees Pruning helps improve the health and overall appearance of your trees. Removing dead or dying branches promotes crop growth in fruit trees. Build a Garden Bed A garden bed is the perfect place to grow vegies or act as a focal point in your backyard. For the best results, use a good quality top soil so your plants get enough of the good nutrients they need to start growing. Plant Fruit Trees Australia’s climate and conditions are ideal for growing fruit trees. All they need is full sun, good drainage, room to grow and they’ll be thriving in no time. Make Your Own Compost Compost is a natural fertiliser that is great for your garden. It can help you save money and it’s good for the environment. Autumn is a great time to start making compost because many trees are dropping their leaves, which you’ll need to use. Make sure you get the balance right between garden waste and kitchen scraps in the compost mix for the best results. Why should I choose you and your agency? Is the cheapest agent the best agent? How do I know an agent is giving me a realistic price guide? What are the factors I should consider when selecting an agent? How do we attract more people to my property? What can I expect the sales process to be like? How can I maximise the price we can achieve? Have you sold properties like mine before? Local experts, working for you.